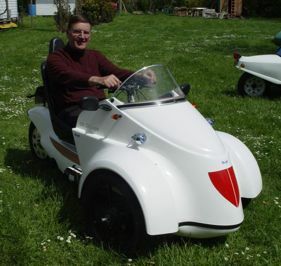 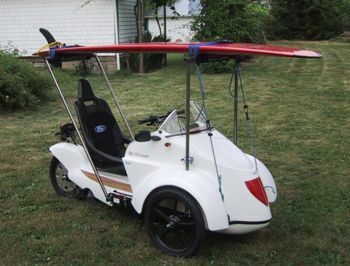 Sold to Kraig Schultz Sept. 2008 so I could build a velomobile, I do not need a motor if I can propel myself. 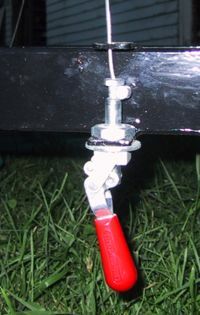 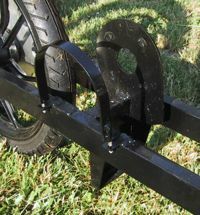 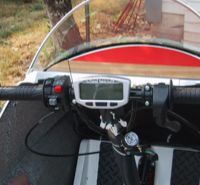 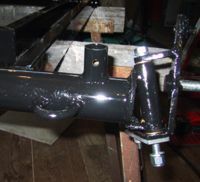 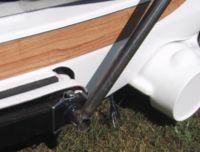 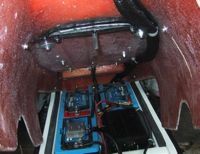 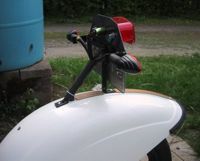 A Trail Tech " Vapor" speedometer was mounted but required an extension cable and a bracket welded to mount the pick up sensor. 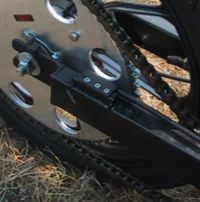 The magnet was mounted by drilling an 1/8" hole in the chain sprocket. 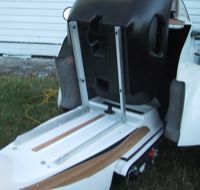 This unit will accomodate a motor temperature pick up also.